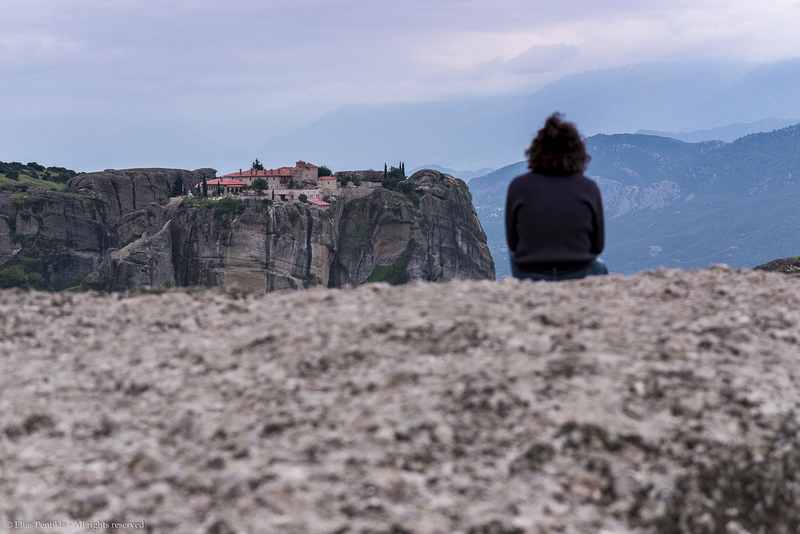 My latest trip in Meteora rocks was for once more a fulfilling experience and a new promise to myself that I will go there again in order to get something quite different than the usual. However looking at my shots from that last trip and after deciding to post process one of them that seemed interesting as a frame, I noticed and as I had already started to improve the tones and the contrast of the shot, that some people that were stood to the upper right corner of it, just above the Roussanou monastery, they seemed like they were naked. At first I said “no way” my eyes mislead me, but then when I zoomed in that portion of the image inside Photoshop I realized that they were really naked. Roussanou monastery is a nunnery, therefore the obvious thought of anyone seeing this kind of absurdity is that they tried to provoke the nuns and their dedication to God. Click on the image provided to see for yourself. 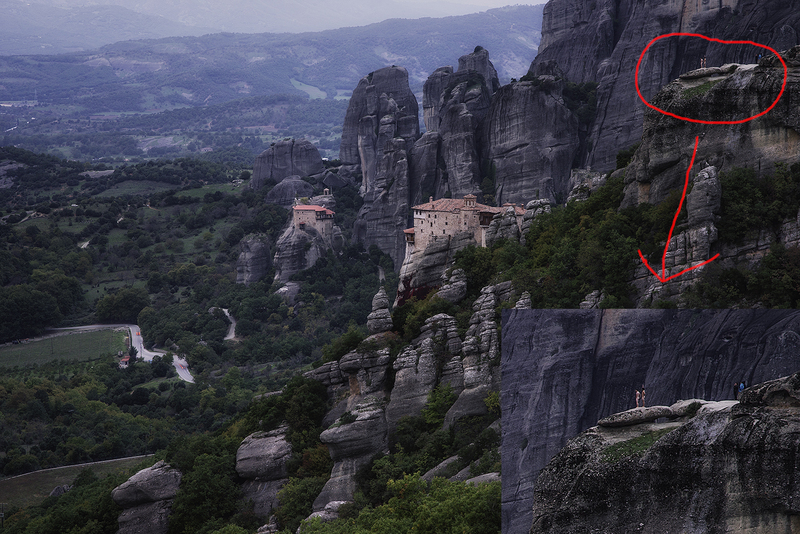 Meteora is a growing tourist destination for believers and unbelievers as well. It’s the rare rocky formations that rise above the plain, it’s the monasteries’ complex that once were isolated and secured enough from intruders, it’s tradition and a journey to the past. However if we want to help monasteries to keep playing their role as hermitages we the tourists must RESPECT the decision of some people to live their life as monks or nuns and dedicate themselves to God. If monasteries get abandoned by those people that preserve them due to the excess tourist waves and tourists’ disrespectful attitude then Meteora and some hundred years of History will be gone forever. Bellow is the link of the current photo on my 500px account, with the naked people cloned out of course. Thank you! Even though my time is limited I will try to keep this blog running as best as I can. I have to say I am sorry for my quite late answer. Unfortunately I don’t have much time to attend the things on my photography blog. However I wrote an article that may come useful to you. to proteсt against hackers? I’m kinda paranoid about losing everything I’ve worked һard on. Any suggestions? To be honest I rely on the security that my host provides. My host is Siteground and they provide daily backups and various security measures to protect their clients.